the main Dayawan plant is not affected. Current valuations look attractive at 3.7x FY19F ex-cash PE and 7.3% dividend yield for FY19F while net cash of S$137.3m is equivalent to 51% of market cap. Maintain BUY and PE-based target price of S$0.96. Flood in Danshui plant caused temporary disruption but no major damages. On 17 Sep 18, Valuetronics Holdings (Valuetronics) announced that the heavy rains bought by super typhoon Mangkhut which hit southern China the day before has caused flash flooding at one of its manufacturing facilities in Danshui town, Guangdong Province in China. All employees are safe and the majority of the production facilities at the Danshui plant are not affected. However, the flash flood has caused power outages which resulted in temporary work stoppages at the plant. Valuetronics is assessing the full impact of the flood on its production lines at the plant and plans to resume production expeditiously. Expect minimal financial and operational impact. the main Dayawan plant was not affected. After a price correction of 18.7% over the last one month, current valuation looks attractive at 3.7x FY19F ex-cash PE and net cash of S$137.3m is equivalent to 51% of current market cap. Furthermore, we expect earnings to be better in the coming quarter as Valuetronics has started to see a recovery in the smart lighting segment in Jul 18 and continues to see robust growth from the industrial and commercial electronics (ICE) segment. Rare share buyback a vote of confidence. 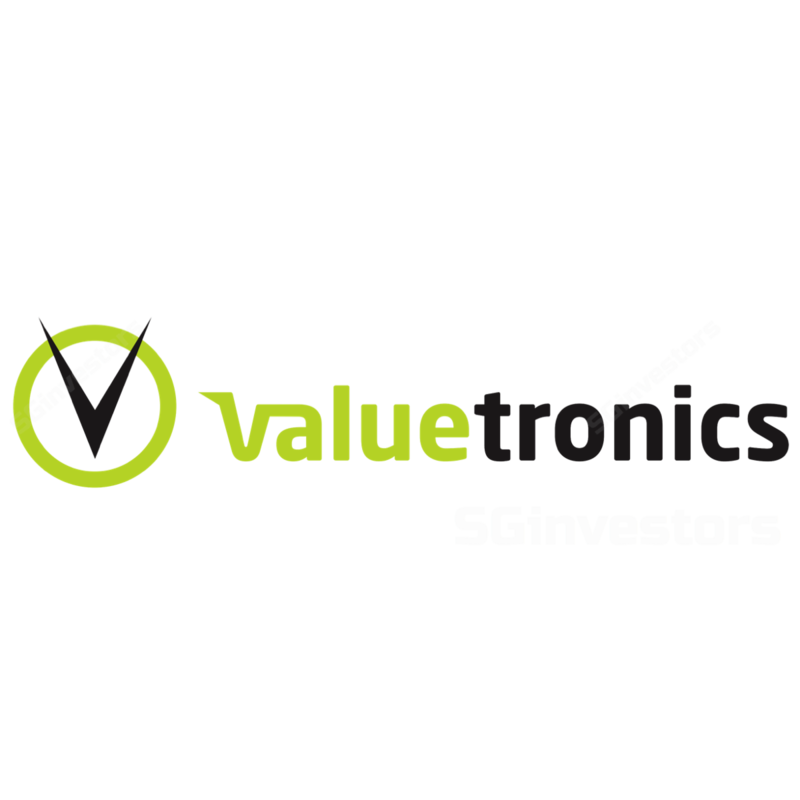 On 18 Sep 18, Valuetronics bought back 630,000 shares at S$0.6334 per share. This is its second buyback in the past 12 months and we believe this sends a positive signal that the shares are undervalued. See latest share buyback transactions. Given that the recovery in the smart lighting segment is progressing smoothly and with continued robust growth from the ICE segment, we expect earnings to be better in the coming quarter. Net cash increased to HK$807.6m, or S$137.3m. This is equivalent to 50.7% of its market cap and provides a good war chest for expansion.